The Mathematics Department has a number of networked printers available for use. In order to utilize the departmental printers, you must be on an NC State managed device. Departmental printers are not available for use from personally owned devices, regardless of the nature of the print job. 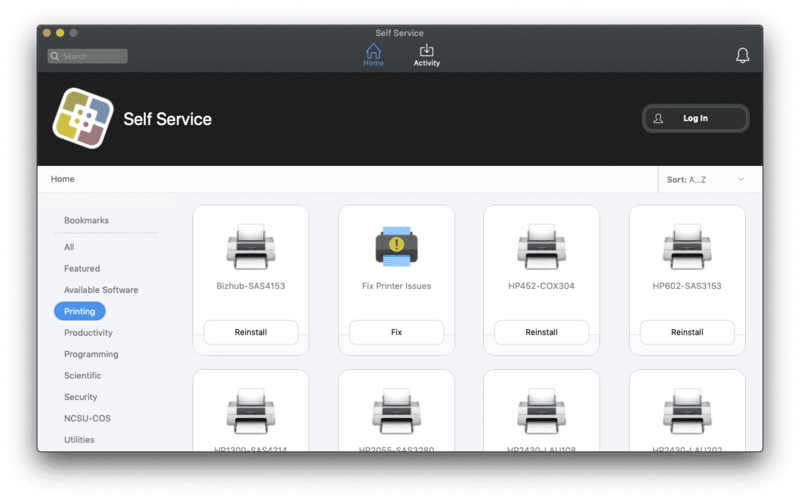 All printers can easily be added from your managed mac's Self Service app. You can read more about what else Self Service can do for you over in the Self Service blog post. In order to successfully print to a connected departmental printer, you will need to make sure you are logged in to the network authority, which NoMAD takes care of. 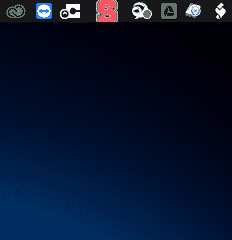 You can verify you are ready to print by checking for the NC State logo in the top right of your managed mac's screen. If the logo is Red, you are connected. If the logo is not Red, you are not authenticated, and you can do so by making sure you are connected to the NC State network, clicking on the logo, and signing in with your Unity ID and password.